I’m excited to be a part of the UGST teaching cohort for 2018-2019. 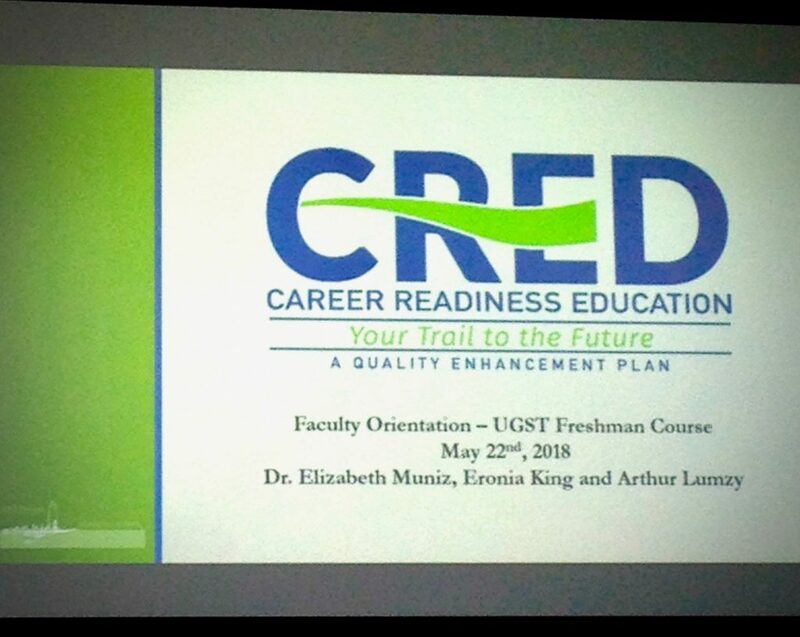 In addition to helping freshmen transition to college, the UGST program will be participating in the Career Readiness Education Program. In preparation for our training session, I completed a Career Assessment Test. 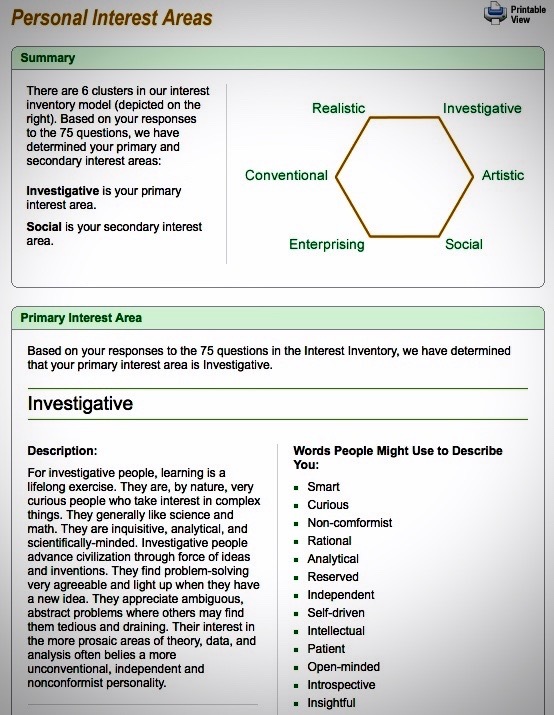 The results were pretty accurate; my top two areas of interest were Investigative and Social. I couldn’t agree more! I think the UGST students will enjoy taking similar assessments, and having better insights into their strengths and possible career options.